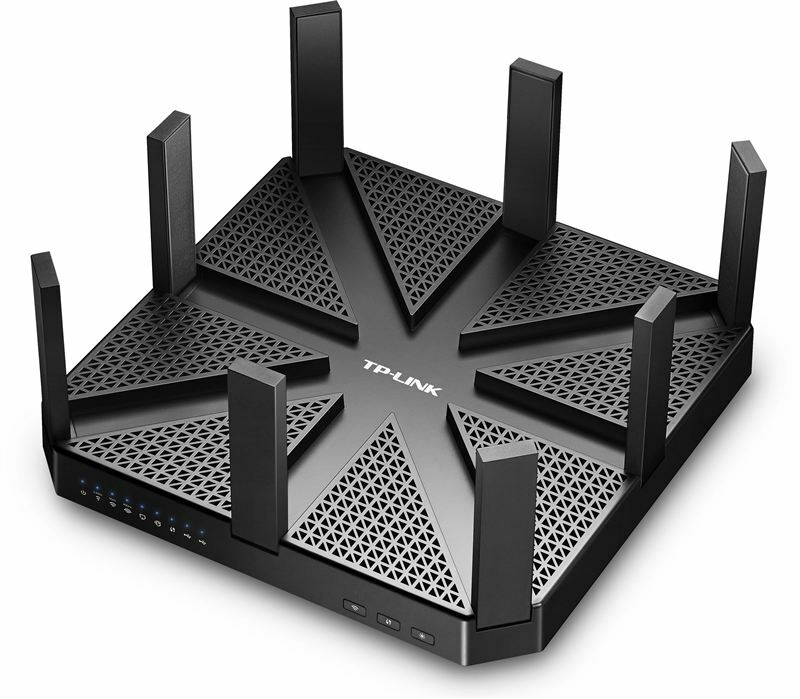 TP-LINK®, a leading global provider of consumer and business networking products, today unveiled the Talon AD7200 Multi-band Wi-Fi Router, the world’s first multi-band router based on 802.11ad—the latest, most powerful innovation in wireless technology. Powered by the 802.11ad and 11ac MU-MIMO solutions from Qualcomm Atheros, Inc., a subsidiary of Qualcomm Incorporated, the TP-LINK Talon AD7200 Multi-band Wi-Fi Router brings new, robust capabilities of 802.11ad to the market, delivering ultra-fast speeds of up to 4.6Gbps on 60GHz bands. It will be available in U.S. stores in early 2016. TP-LINK is showcasing the Talon AD7200 Multi-band Wi-Fi Router as part of its new connected home portfolio, with smart home devices, connectivity products and accessories at CES in booth 31163, Tech East, LVCC, South Halls 3-4, Upper Level. With the number of smart devices in the home steadily rising, consumers need more bandwidth to ensure seamless connectivity. Leveraging Qualcomm Atheros’ 802.11ad wireless technology, the TP-LINK Talon AD7200 Multi-band Wi-Fi Router uses a new frequency with untapped bandwidth and channels at 60GHz. It also utilizes existing 2.4GHz and 5GHz bands, resulting in combined unprecedented 7Gbps Wi-Fi speeds throughout the home as well as combines 802.11ad with 802.11ac MU-MIMO to provide a step up in capacity. Superior to the standard dual-band structure, the router transmits locally stored media and content from the cloud drastically faster, ensuring that devices function at prime performance. With the TP-LINK Talon AD7200 Multi-band Wi-Fi Router, consumers can download an entire feature-length 4K HD video in about four minutes or transfer a thousand photos to a storage device in approximately five seconds, without any concerns about network interference. Equipped with 11ac MU-MIMO technology, the TP-LINK Talon AD7200 Multi-band Wi-Fi Router yields 2.5 times better 11ac performance*** while supporting several devices simultaneously for gaming and streaming. It also boasts eight antennas with high-powered amplifiers to supercharge the Wi-Fi signal, keeping smartphones and devices connected to the network at all times. Dynamic beamforming technology also further maximizes device performance and delivers a stronger, targeted signal across the entire home network. Additionally, its powerful 1.4GHz dual-core processor enables high-speed connectivity with seamless coverage. The router is also backwards-compatible, allowing it to work with older wireless protocols such as 802.11 a/b/g/n.